take care of your paperwork and fitting for all of your gear. No Hidden Charges or Add-Ons! Our clothing choices are either full one piece snowmobile suits or full snowmobile bibs and jackets. The gloves and boots are high quality and very warm. Helmets are full face style with chin guards to both protect against injury as well as keep you warm. Sizes are from youth size 4 to Men’s 5x Adult for Suits and extra small children to 4x Adult for Helmets. Snowmobile Boots range from youth size 11 to men’s size 14. A great trip for a half-day rental. 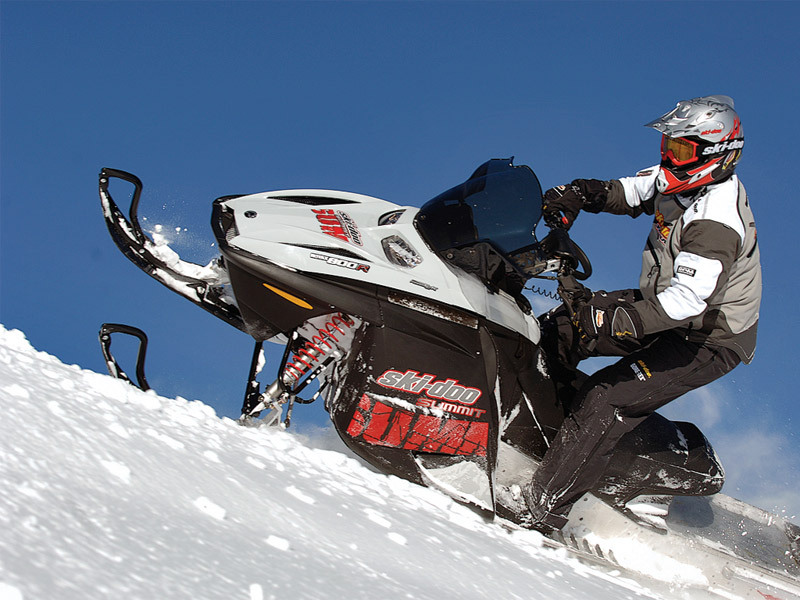 It’s an EASY 45 Minute ride by snowmobile from where we deliver the machines at the Francis Wallace Trailhead. There are caretakers on site year round. Cost is $10.00 per person. Cash or Credit Card. Snacks are available. They also rent clean towels and swimsuits if you forget yours. Cabins are available for rent for overnight stays as well. Another half day trip can take you further up the trail from Burgdorf to the historic gold mining town of Warren. Allow 1 1/2 Hours to reach this destination. Along the way, plan a stop at the Secesh Stage Stop. This store has been reopened under new ownership and is serving a variety of eats and beverages. This well known eatery is located 25 miles up the trail and is a real bonus to your snowmobiling experience. The Francis Wallace Trailhead provides easy access to the high elevation riding areas of Goose Lake, Granite Lake, Hazard Lake and the Brundage Mountain Lookout. 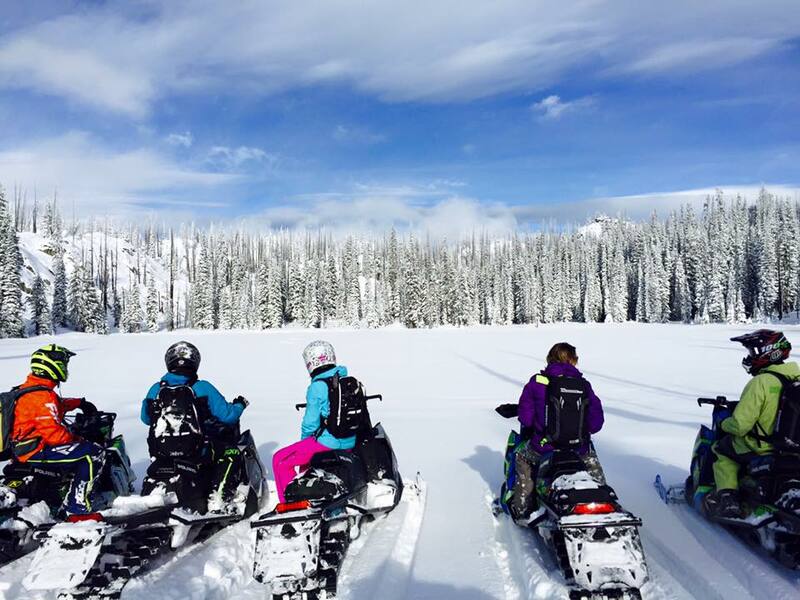 Head out into the backcountry from the parking lot and ride all day. You can also turn either the Burgdorf or Warren trips into a full day outing.